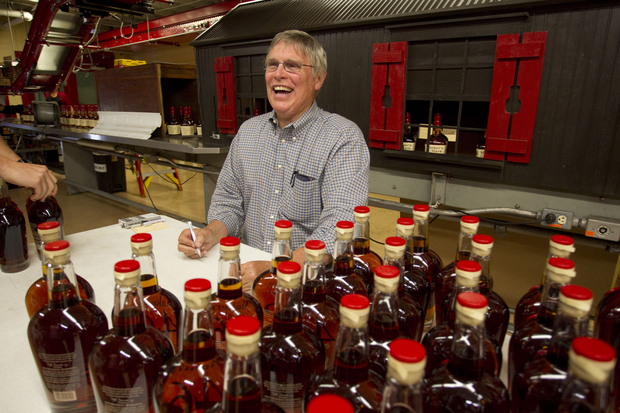 “Maker’s Mark isn’t new to this question,” said bourbon expert Chuck Cowdery, who cites wax dipping and human oversight of processes as evidence that the company can claim that its bourbon is “handmade. The Kentucky bourbon maker is the latest high-profile spirit to face legal claims over labeling. Maker’s Mark has been accused of lying about hand-crafting its premium bourbon by two California residents. A potential class-action lawsuit, filed in U.S. District Court in San Diego, alleges that Maker’s Mark’s advertising and business practices are false and misleading under California law. The plaintiffs are seeking damages of more than $5 million. 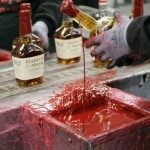 Maker’s Mark, with its trademarked red wax, is one of the most popular and best-selling bourbons, selling more than 9 million bottles a year. It has a passionate following among bourbon drinkers, who fought last year to keep it at 90 proof. The company is undergoing a multimillion expansion to ramp up production in Loretto. Maker’s Mark “promotes its whiskey as being ‘handmade’ when in fact defendant’s whiskey is manufactured using mechanized and-or automated processes, which involves little to no human supervision, assistance or involvement, as demonstrated by photos and video footage of defendant’s manufacturing process,” alleges the complaint, which was filed Friday. The label on the bottle says “Maker’s Mark Kentucky Straight Bourbon Whisky Handmade,” but the suit alleges that the process includes a mechanized or automated process of grinding/breaking up the grains; mixing grains with yeast and water; transferring to fermenting vats; and bottling. Other spirit makers have been challenged legally over claims on their labels, which are all approved by the federal government. A class-action suit was filed this year against Templeton Rye, alleging that the labels violated state laws against deceptive advertising by selling whiskey made in Indiana as if it were produced locally with a Prohibition-era recipe in Iowa. The company announced in August that it will change the label to acknowledge that the rye is made in Indiana, but the case is proceeding. Tito’s Handmade Vodka, based in Austin, Texas, also has been sued in San Diego by a consumer who alleges that spirit isn’t handmade. “We disagree with the claims made against us and plan to defend ourselves against this misguided attack,” Tito’s founder Tito Beveridge said in a written statement provided to the Austin American-Statesman in September. In Maker’s Mark’s case, two plaintiffs, Safora Nowrouzi and Travis Williams, allege through their attorneys that they wouldn’t have bought the bourbon if they had known how it was really made. Williams allegedly bought a bottle on Nov. 17 for $32.99; Nowrouzi allegedly bought a bottle for $58.99. 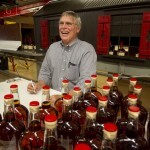 They claim that they were lured to paying higher prices by the label’s claims that “Maker’s Mark is America’s only handmade bourbon whisky — never mass-produced” and “We’re proud of our unique and full-flavored handmade bourbon,” according to the complaint. Chuck Cowdery, a bourbon expert who is also a Chicago attorney, said that the Maker’s Mark case appears very similar to the Tito’s Vodka filing.